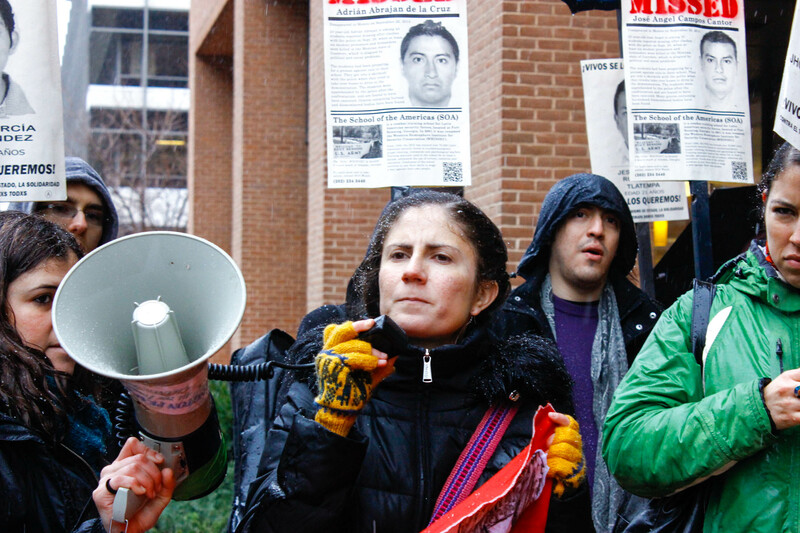 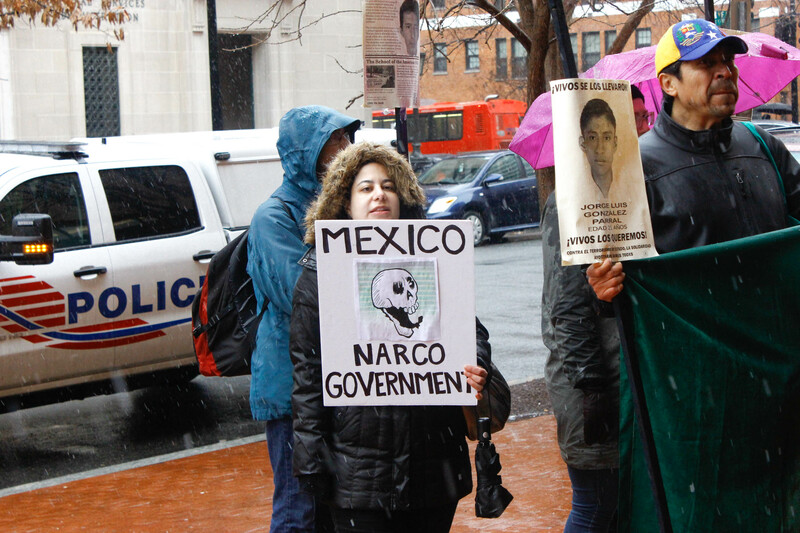 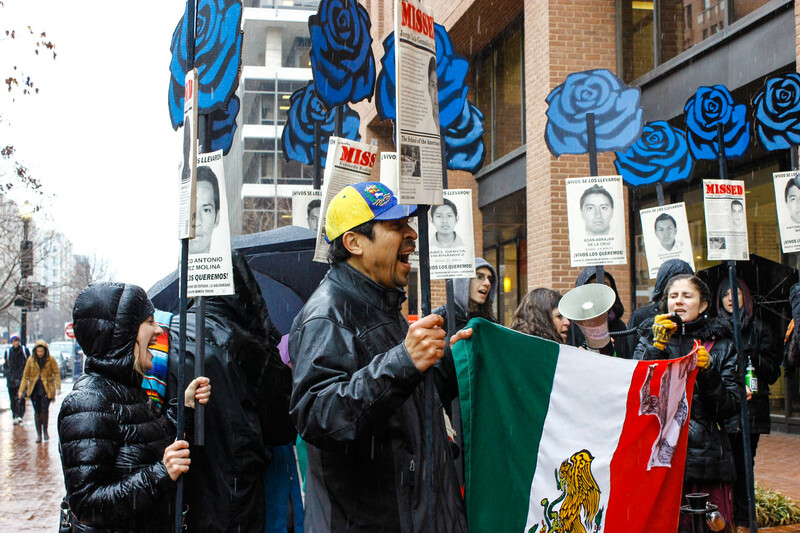 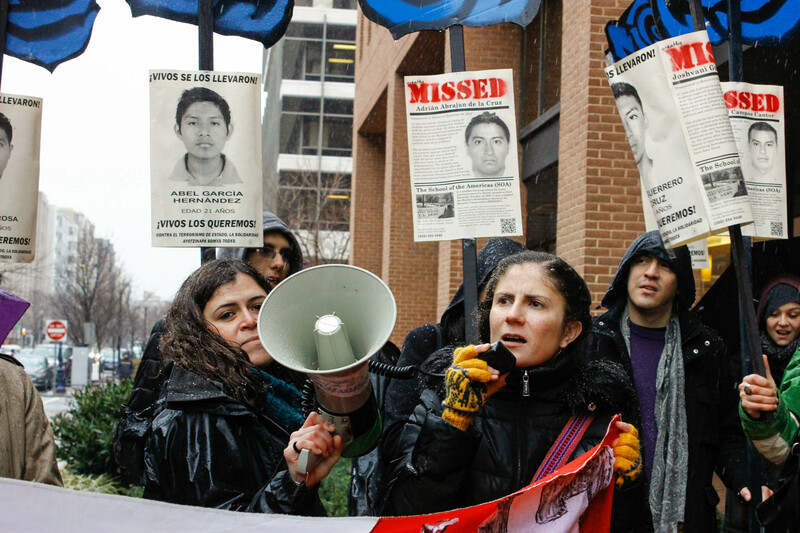 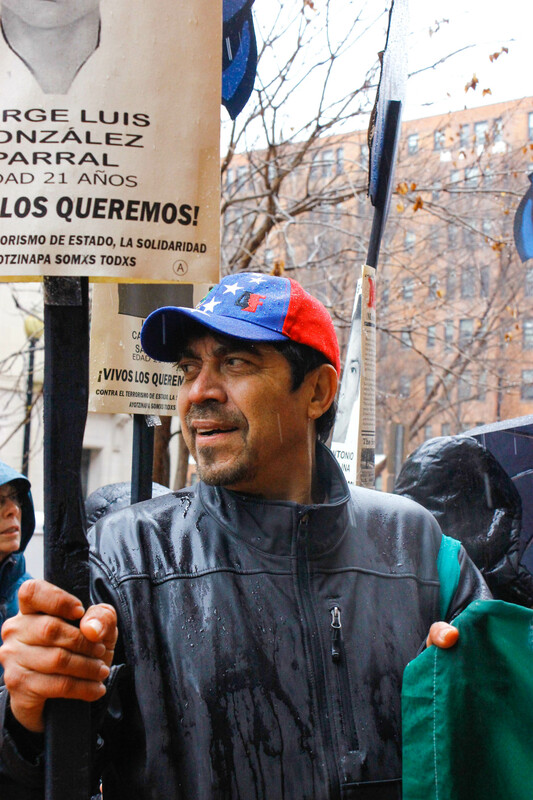 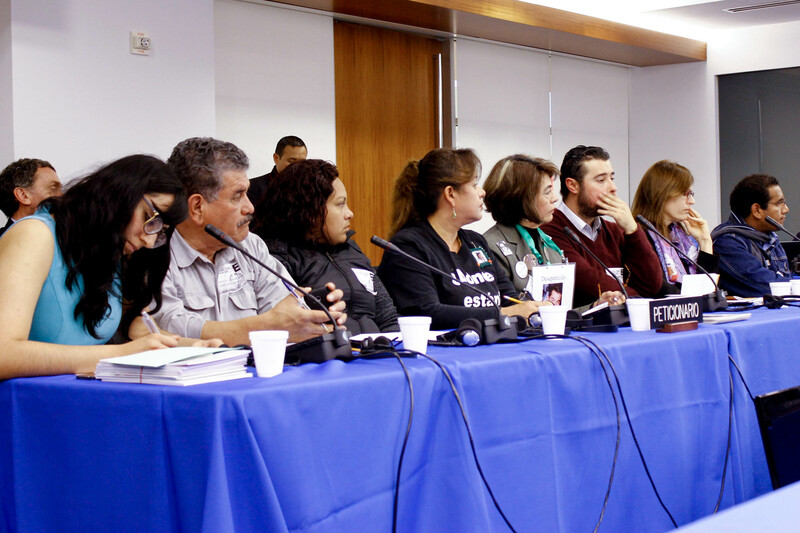 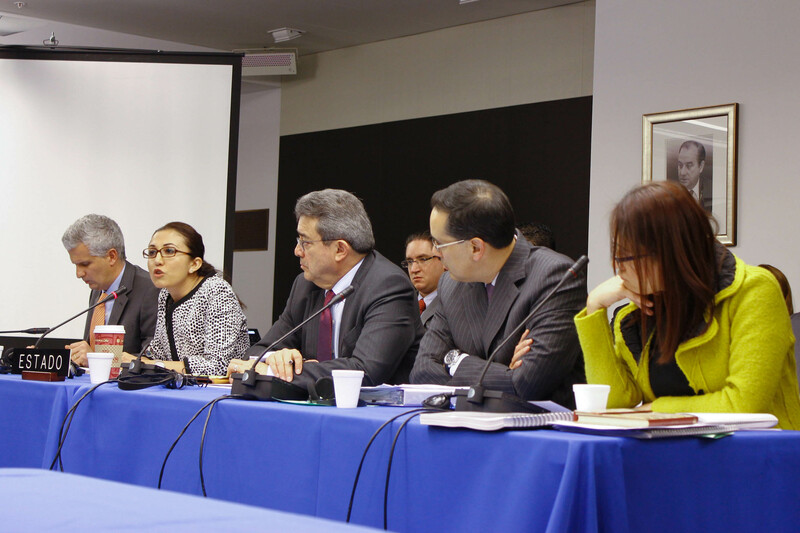 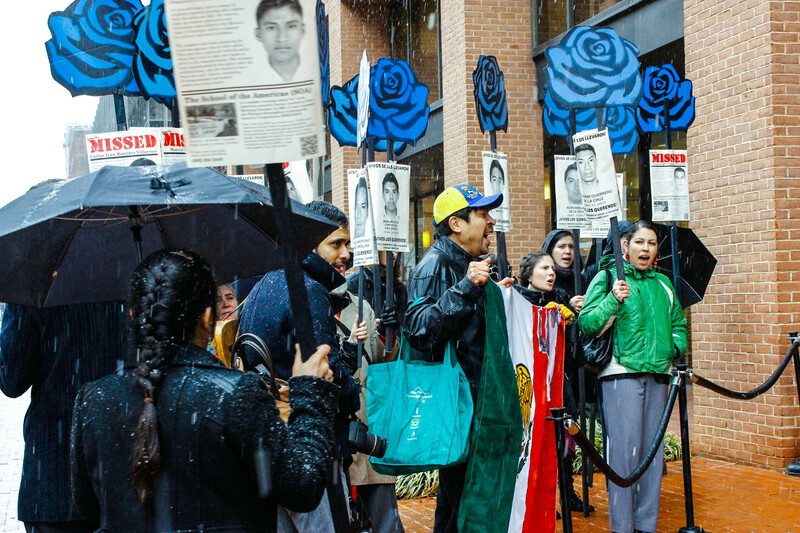 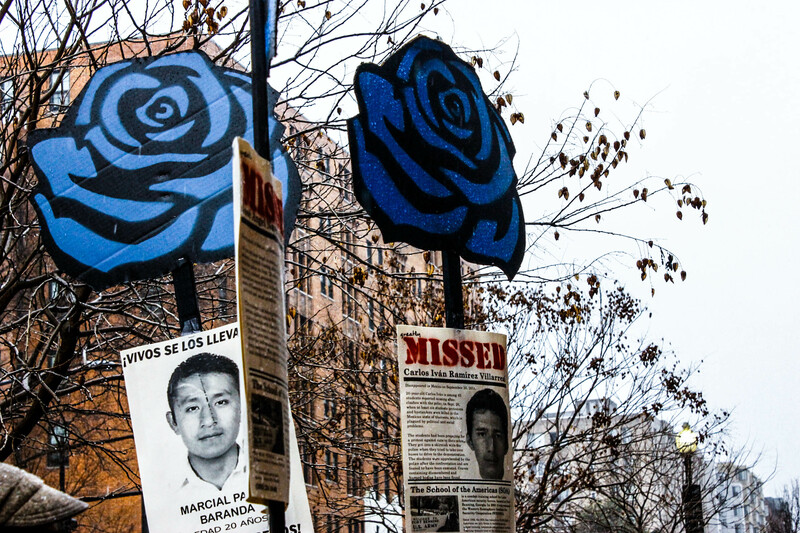 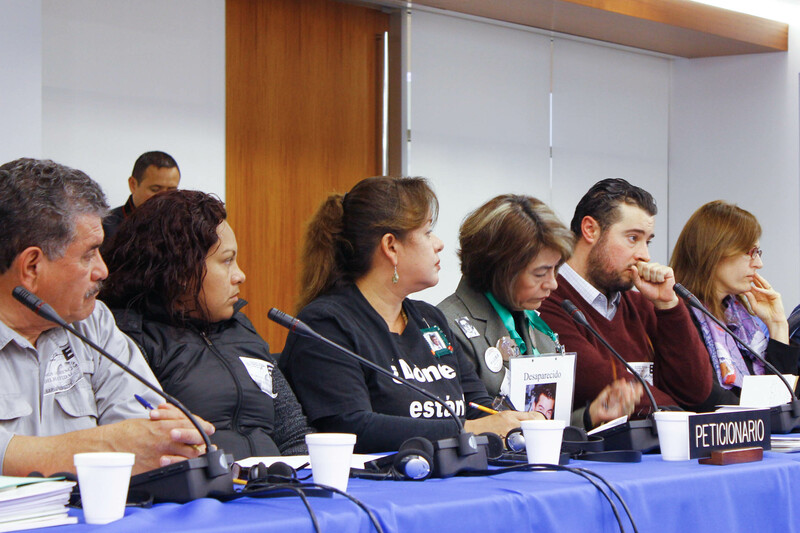 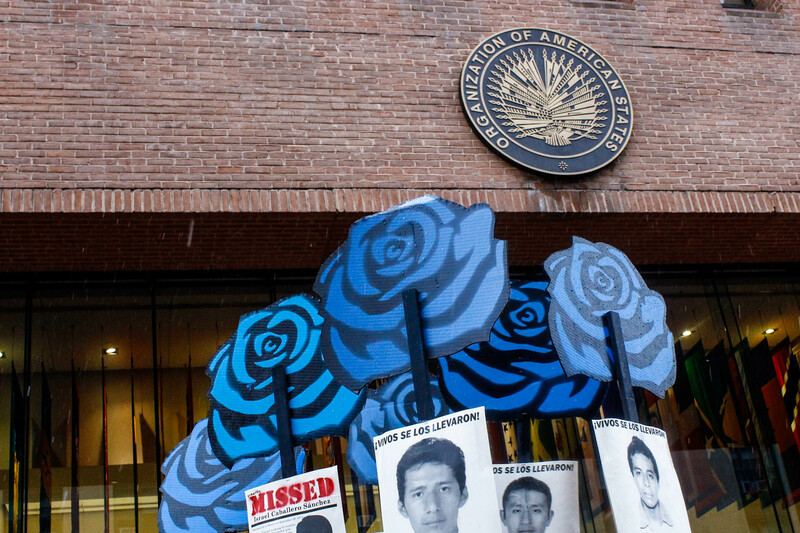 On Friday March 20, 2015, a group of demonstrators gathered outside of the Organization of American States building to protest as the Mexican delegation entered for a day of Inter-American Commission on Human Rights hearings. 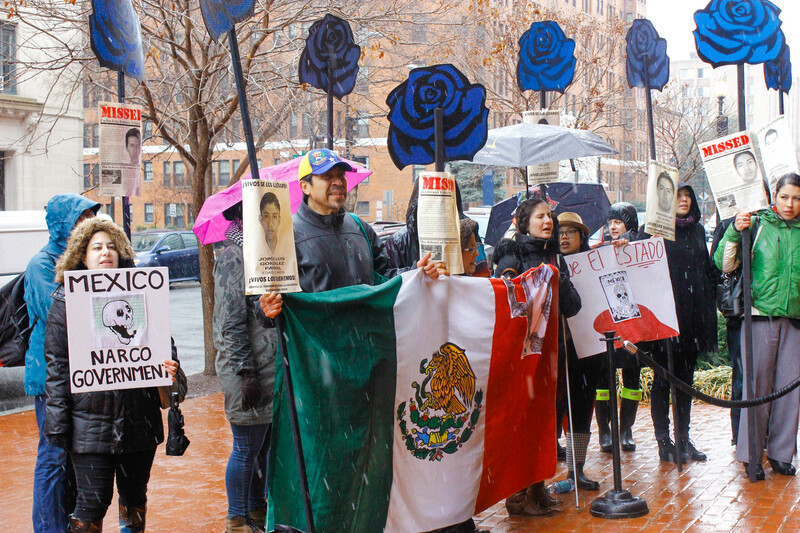 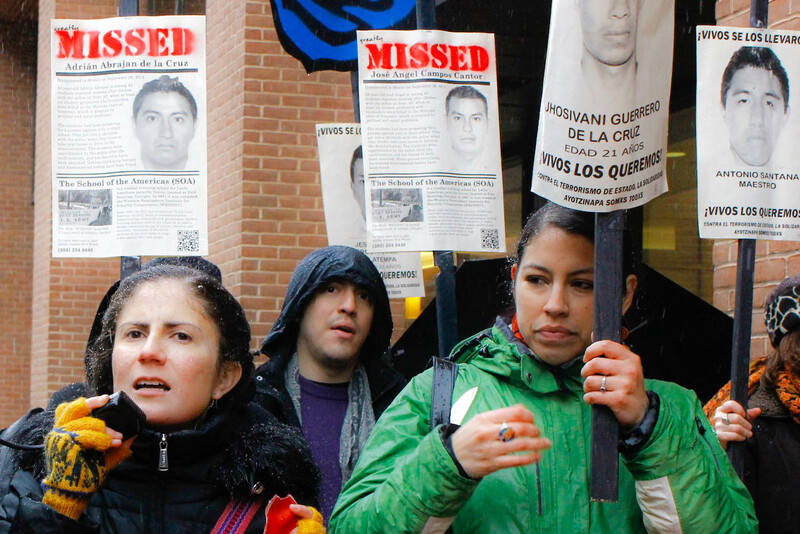 The protestors stood in solidarity with the 43 students from the Ayotzinapa teachers’ college who were disappeared last September. 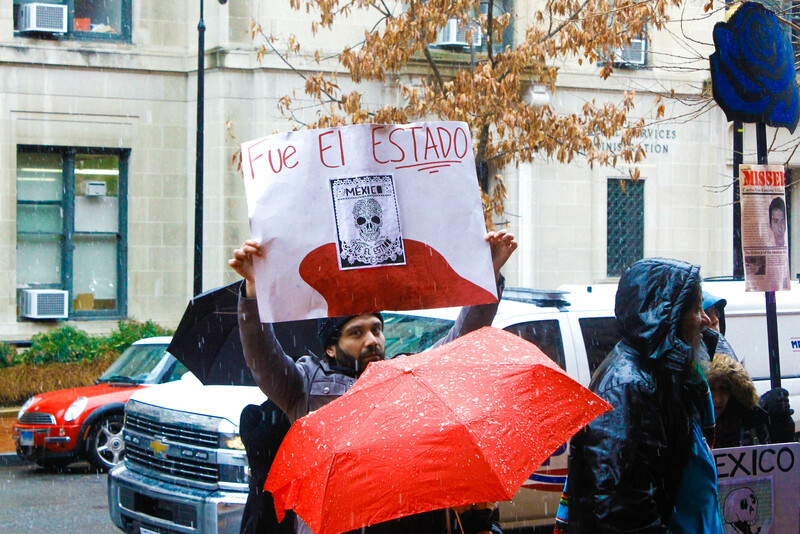 As the Mexican government representatives entered the OAS building, protestors chanted “Gobierno fascista que mata normalistas” (“Fascist government that kills normalista students”) and “asesinos” (“assassins”). 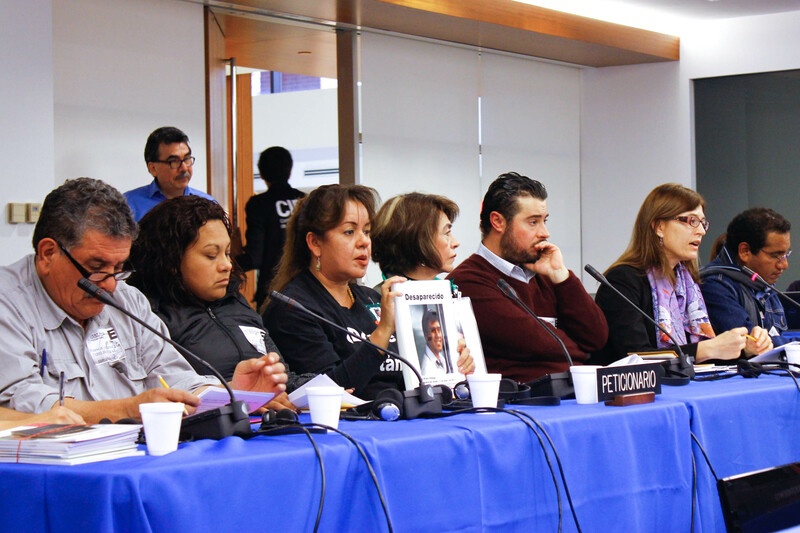 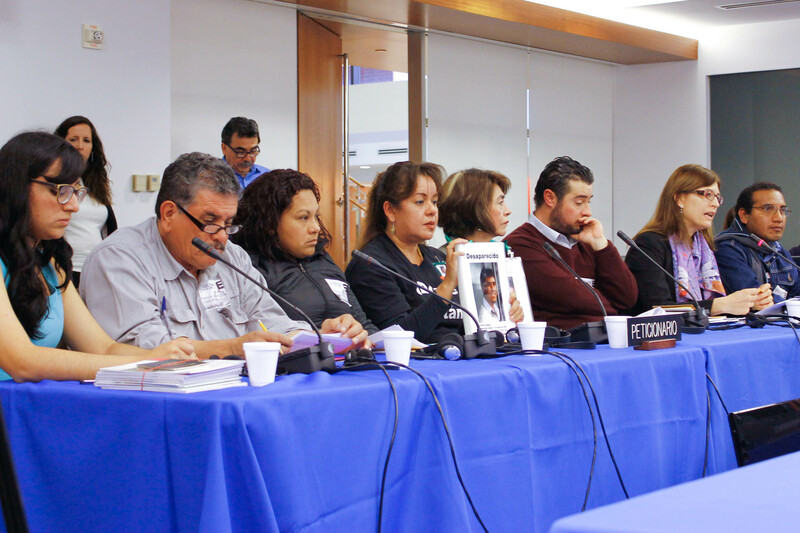 I attended the protest as well as three of the IACHR hearings on issues of General Human Rights Situation in the State of Guerrero, Mexico, Reports of Acts of Forced Disappearance and Impunity in Mexico and Reports of Sexual Torture of Women in Mexico. 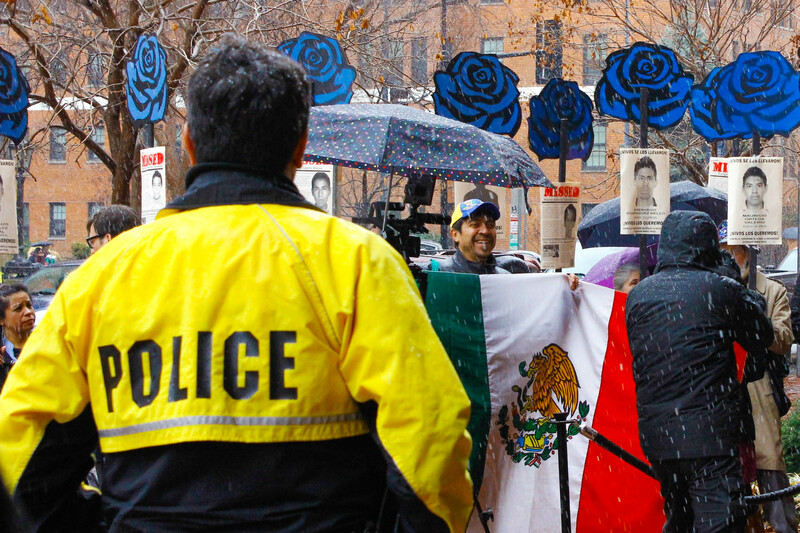 Here are some photographs I took throughout the day. 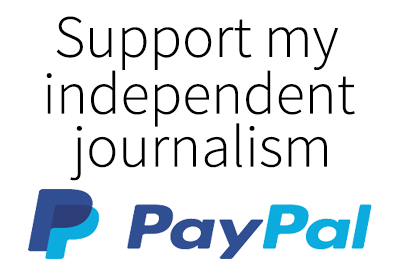 For higher resolution, click on the images.